Wednesday afternoons have been full of excitement as Steven Simpson from the Learning technologies team has been in school showing the children how to code Spark + and Drones. This has been an exciting time for the P5-P7 pupils who are keen coders! Thank you Steven for providing such exciting challenges for our pupils. Argyll and Bute Councils Digital Learning team have produced a draft Digital Learning Strategy which we would like to receive feedback on. The Scottish Government launched a Digital Learning and Teaching Strategy in September 2016. 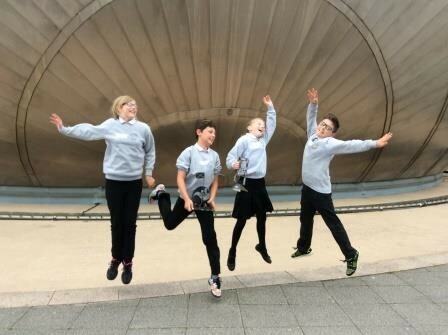 The vision is that Scotland’s educators, learners and parents take full advantage of the opportunities offered by digital technology in order to raise attainment, ambition and opportunities for all and that conditions are created to realise this vision and unlock the potential of digital technology in schools. The number of key curriculum developments within digital learning require teachers and learners to be confident and competent in the use of technology. Argyll and Bute establishments, staff and pupils must be ready to embrace the changes that will inevitably take place. The pupil Digital Leaders event took place in Inveraray on Friday 18th November. 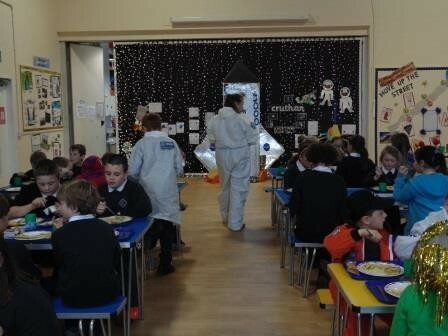 This event was attended by 244 pupils from 40 schools. It is important that our pupil’s opinions are heard and we would like feedback from our digital leaders via the survey emailed to staff. 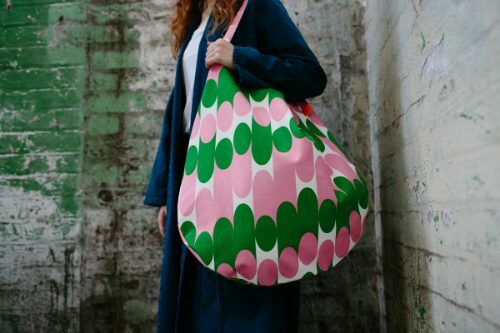 The survey will close on Monday 28th November at 5pm and will take around 10 minutes to complete. On Tuesday 4th October Steven Simpson from the Argyll and Bute Council Learning Technologies Team came into our school to show our P7 class how to use Minecraft Education Edition. The session was very interactive and the pupils had lots of fun learning this new skill. They were able to challenge each other in the same world which had been created by Steven. At the end of August, 19 Park Primary School girls from Primary 6 and 7 attended Dare to be Different at Knockhill Racing Circuit. It was an event organised by Susie Wolf (an ex pupil of Park Primary) to encourage girls into motor racing and to promote the message that gender doesn’t limit your choices. We made a hover craft, experienced go-karting, learned how to do a pit stop, participated in a fitness routine and took part in an interview with Sky Sports and some of us even got on the STV news. It was an amazing day that we will never forget. Congratulations to Steven Simpson from the Argyll and Bute Council Learning Technologies Team who won the Scottish Training Federation (STF) Modern Apprentice of the Year Award. Steven was presented with this award at this year’s STF conference at Crieff Hydro, hosted by Kaye Adams. Kodu is a game application developed by Microsoft to introduce young people to computer games design. The visual programming language allows students to design and build 3 dimensional games. 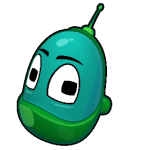 Kodu helps young people to learn the core concepts of computer science through a project approach which includes narrative writing, design and maths and programming skills. 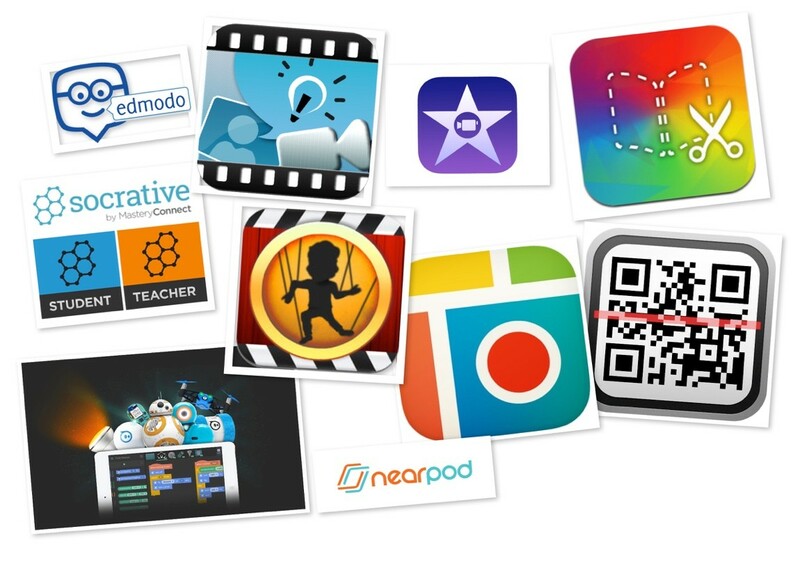 Click here to view the Kodu Resources. Technology Showcase – On Saturday 7 May 2016 around 300 primary pupils from across Helensburgh and Lomond attended a technology showcase event with parents. The aim of the event was to help equip young people with the necessary skills and knowledge to turn computing ideas into concepts, showcase what can be created through technology and provide additional exciting computer science related learning opportunities. A fun and informal technology day – starting at 10am prompt and will include a short presentation by a technology specialist. 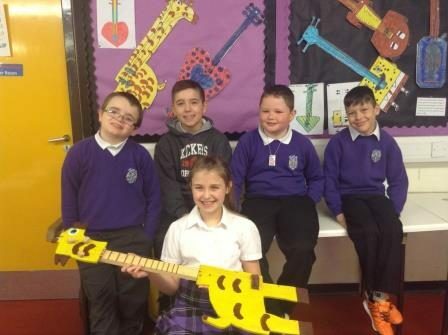 There will be a range of exciting hands-on technology workshops, led by primary pupils from Helensburgh schools. This event is open to primary pupils and parents/guardians. Please note that all pupils must be accompanied by a responsible adult. Strone Primary School get crafty! 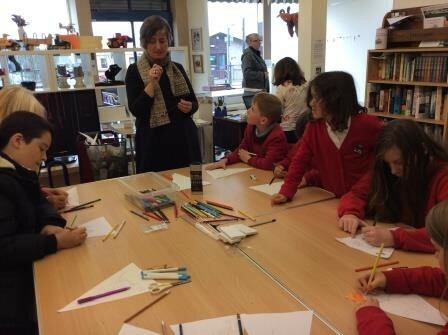 On Friday 25th September we took six pupils from the P5-7 class to a Textile Workshop with artist Deirdre Nelson at the Burgh Hall Pop Up Gallery in Dunoon, as part of Craft Scotland’s Meet your Maker campaign. Deirdre showed us round the exhibition of textile art at the gallery, and then we were given the chance get creative, using embroidery techniques to make pictures of the local area. 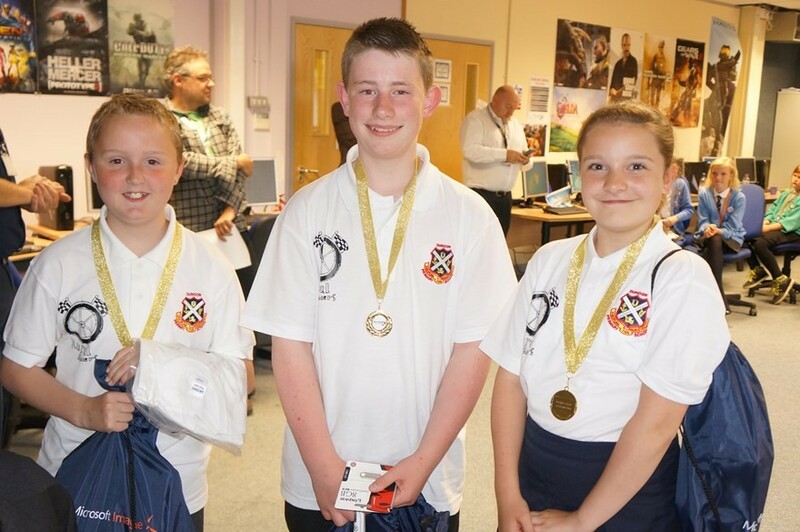 Kodu Kup Scottish winners from Dunoon make it to UK final!